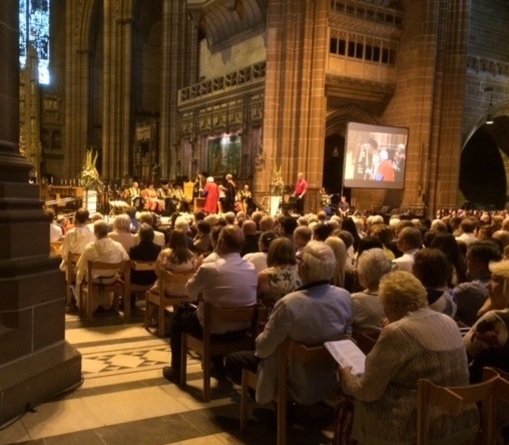 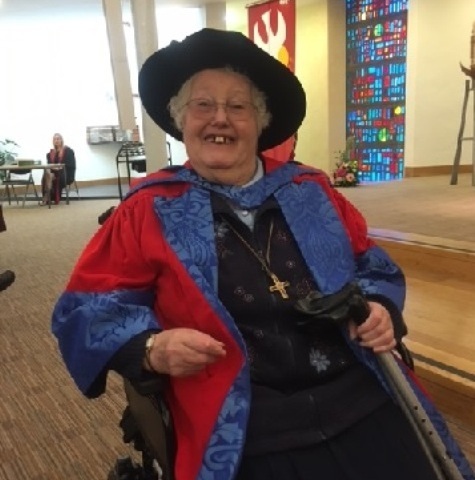 On Wednesday, 19 July Sister Maura was given an Honorary Doctorate in Education by Liverpool Hope University in recognition of her outstanding service towards the foundation of the University in its transition from being an ecumenical institute of higher education. 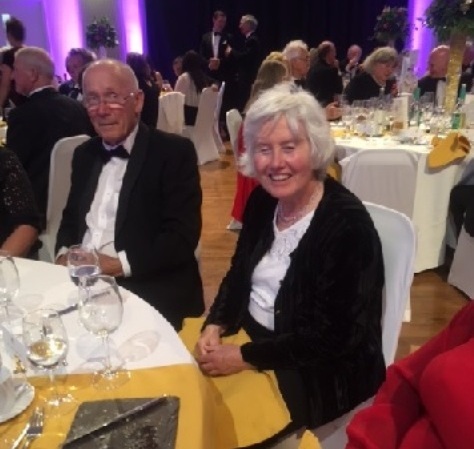 On behalf of the University and in her citation for the award, Professor Tiernan spoke very highly of Maura and her work for education at all levels. 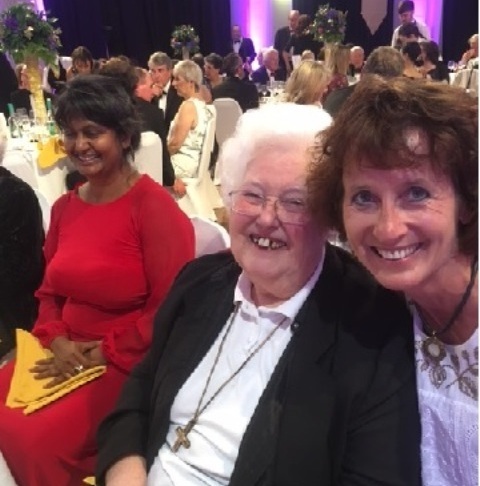 Maura replied with a very dignified speech in which she acknowledged the work of all the Sisters as a joint endeavour, and especially of the debt of gratitude owed to the original initiatives of Sister Catherine Hughes. 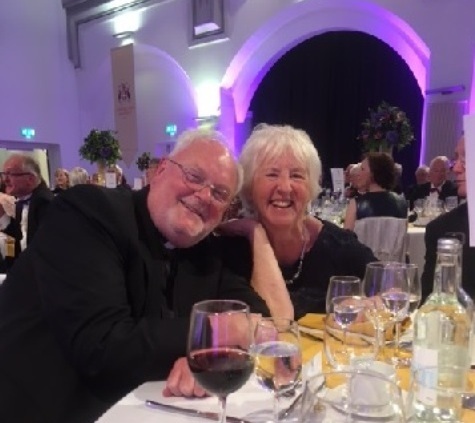 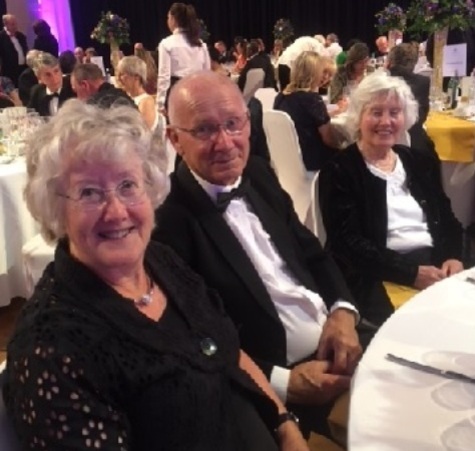 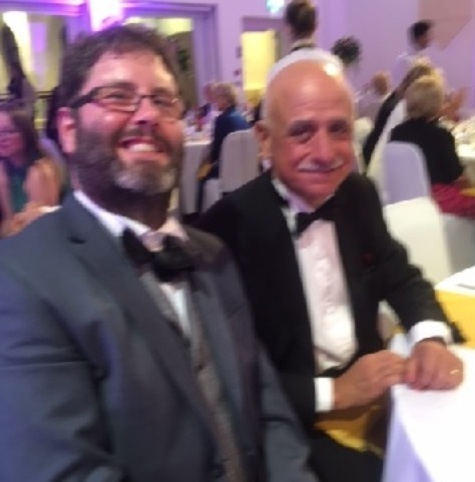 On the evening before the Graduation, Maura was honoured at the Chancellor's Dinner at which Sister Patricia Ellen, the Provincial Moderator, was present. 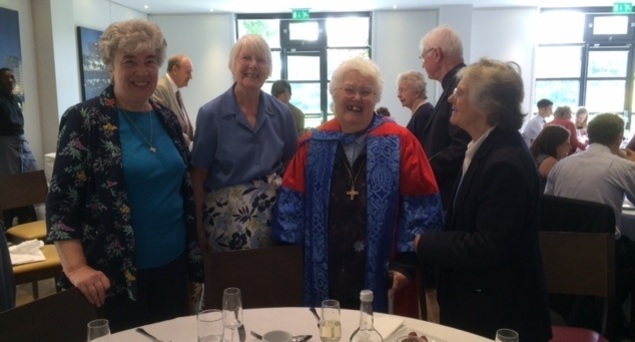 At the dinner also a presentation was made to Sister Margaret Walsh for her long and generous service to the University as a Trustee and as a Member of the University Council. 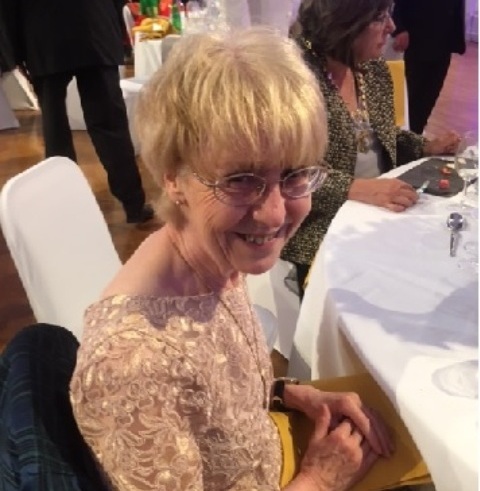 Both these occasions were a matter of joy and celebration for Maura and for all the participants. 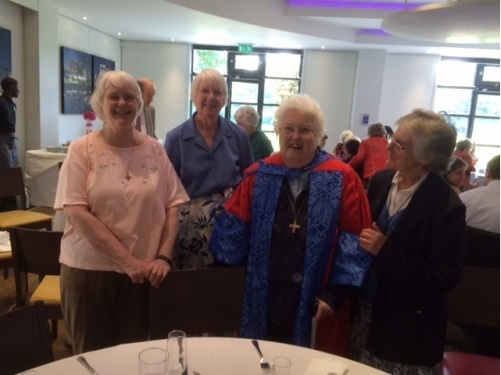 and to Sister Mary Charles for the account of this happy occasion.